More than eight years had passed since the Filipino death/thrash metal act Mass Hypnosia had unleashed an insane piece of proto-death metal album upon the metal community in the form of their debut “Attempt to Assassinate”. That debut features some real in-your-face death/thrash metal tracks that are extremely catchy and admirable in a powerfully irresistible way which totally crushed those who were able to grab a copy and made us crave for more. 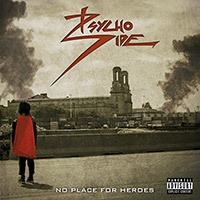 It took six years before the band was able to deliver a follow up to the solid debut with a more matured and top quality sophomore studio album “Toxiferous Cyanide”, yet their music never rusted and the sophomore had pushed the band’s death/thrash style of music into new heights. The follow-up album had caught a lot of attention all over the extreme metal community and it put Mass Hypnosia under the radar of metal zines and metal labels around the world, while putting them in a row with acts like KREATOR, SADUS and BLOOD FEAST. This year, the band is back with their third studio full-length that will most certainly slay the fans with its vicious assault and all-out thrashing passion! 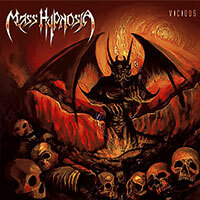 Yes fellas, this new opus from Mass Hypnosia will take you all down a trip to memory lane of the good ol’ 80s - 90s glory days of thrash while testing the listeners with the band’s storming and striking thrash metal mastery! Now, this new material is by far the thrashiest album that has been delivered by Mass Hypnosia. You just have to get a copy to understand what I am talking about!!! 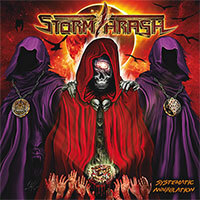 Stormthrash is born in late 2006 in Caracas, Venezuela by Argenis Betancourt (Drums), Luis Fuentes (Guitar), Walvin Brito (Voice) and Hendifer Castillo (Bass) and heavily influenced by old school Thrash Metal bands like Dark Angel, Sodom, Destruction, Slayer, etc. 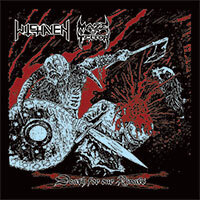 Appearing for the first time on stage in 2009 with a new line up – joined by Darío Guillen (Bass), Adrian Sanchez (Guitar) and Alejandro Florez (Voice) - and editing their first demo in 2010 entitled "War, Death and Terror”. With the split “Death For Our Rivals” Ragnarök presents a thrash metal-assault that was originally released in late 2017 by californian Nero One-records on tape only. As there has been a big demand to deliver this on CD, we are proud to announce the release of this masterpiece for the first time on compact disc. Witchaven (San Bernardino, California) and Maze Of Terror (Lima, Peru) are two of the most zealousy, agile and popular underground acts worldwide. Witchaven is an outcome of the Californian thrash metal-scene. Coming into existence in 2006 they are now veterans to the scene and are able to look back on more than a handful quality releases including three full length-albums. Eudoxis were one of the first thrash acts in Canada. The first incarnation of Eudoxis came to life in 1983 in Longeuil, a suburb of the Franco-Canadian city Montreal. The Judas Priest song “Exciter“ had been their blueprint for songwriting and the result was way more aggressive than the british rockers themselves. In 1986, the 12“-single “Attack from Above“ was released and has since become a searched gem. After some lineup changes, the band started recordings for the full length album “Open Fire“ and it was released in 1991 on vinyl, CD and K7.